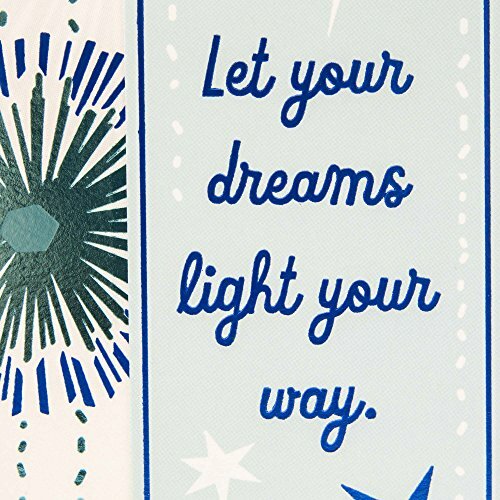 Front Message: Let your dreams light your way. 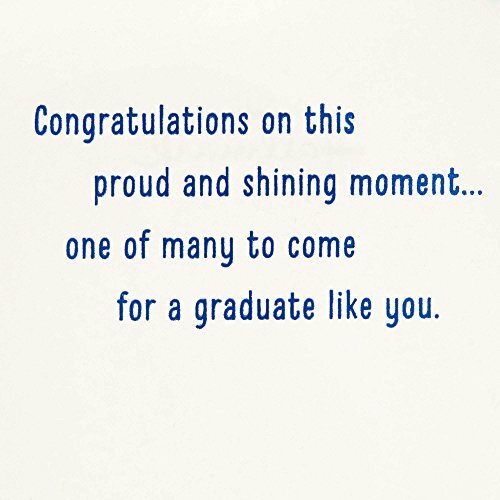 Inside Message: Congratulations on this proud and shining moment... one of many to come for a graduate like you. 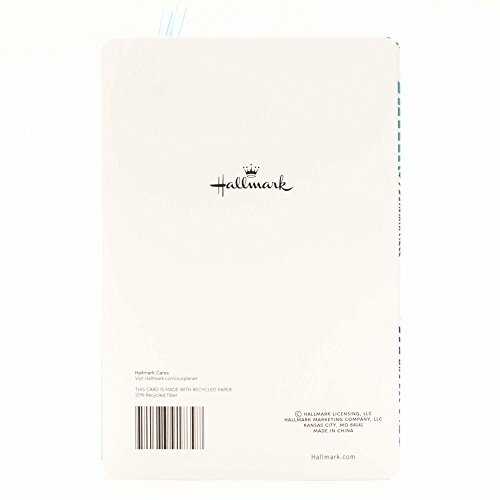 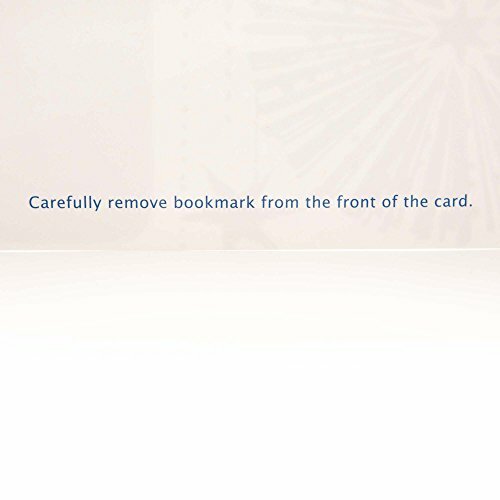 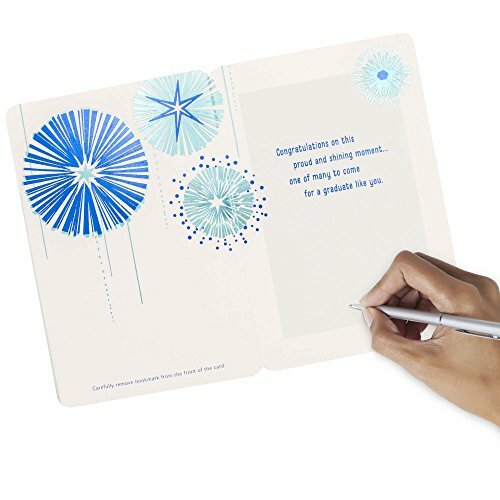 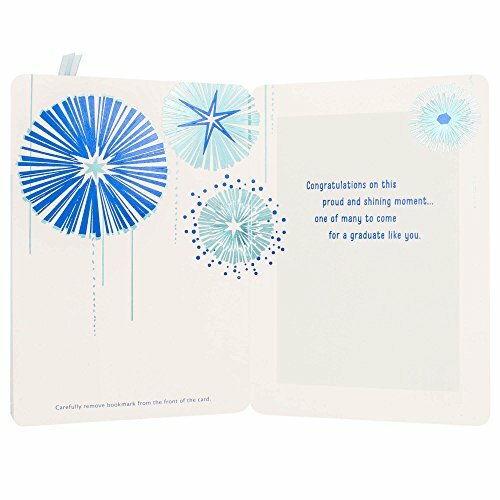 Printed on high quality paper stock, this graduation card features a removable bookmark and is a sweet and thoughtful way to celebrate and congratulate any graduate on your list. 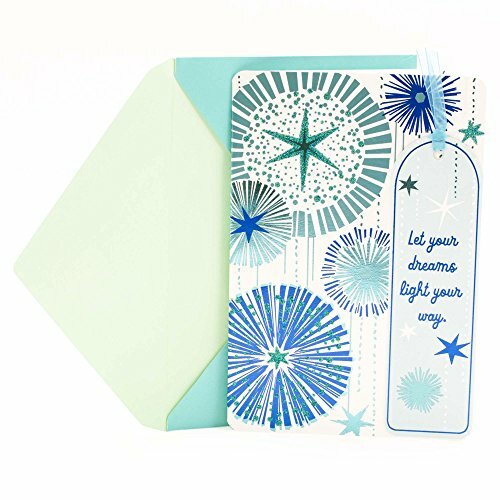 This card's design features starbursts in shades of green and blue and a removable bookmark on the front.